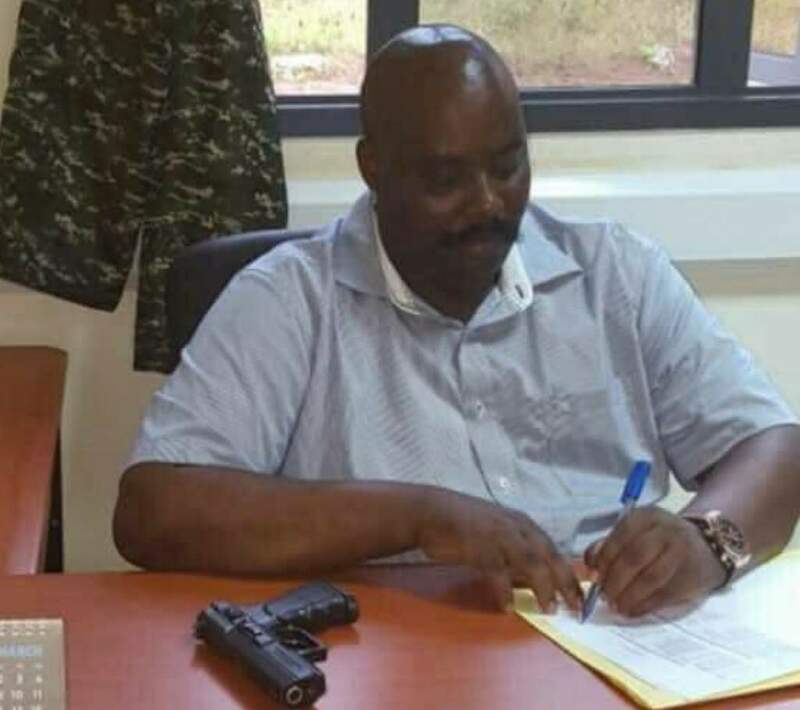 A senior commissioner of Police in charge of classified equipment, Good Mwesigwa is being investigated for allegedly selling over 25 guns and live ammunition to a Steel company under the guise of scrap. SoftPower News has learnt that the illegal deal was unearthed by an investigation lodged by the Chieftaincy of Military Intelligence (CMI) after a whistleblower raised an alarm this week. Mwesigwa who is the Director of Classified Equipment and Consumables in Police is said to have illegally sold a consignment of scrap to a company identified as Tembo Steel Limited in Lugazi, at a sum of Shs 5 million. However, he would later declare only Shs 800,000 which is an outright violation of procurement and disposal of public assets regulations. Procedure demanded that the Police Directorate goes through the known channels of disposal of ‘scrap’ of that nature which is the Inspectorate of General Military Equipment (IGME) run by UPDF under the command of only the Commander-in-Chief, the Chief of Defence Forces and the Commander Land Forces (CLF). But what appears to have been a highly classified sale for reasons yet to be established, came to be unraveled when CMI received information that a worker at Tembo Steel had acquired a gun with live ammunition from the ‘scrap’ and taken off with it. Upon a tip off, CMI on Monday launched an operation at the steel company and surrounded the premises. 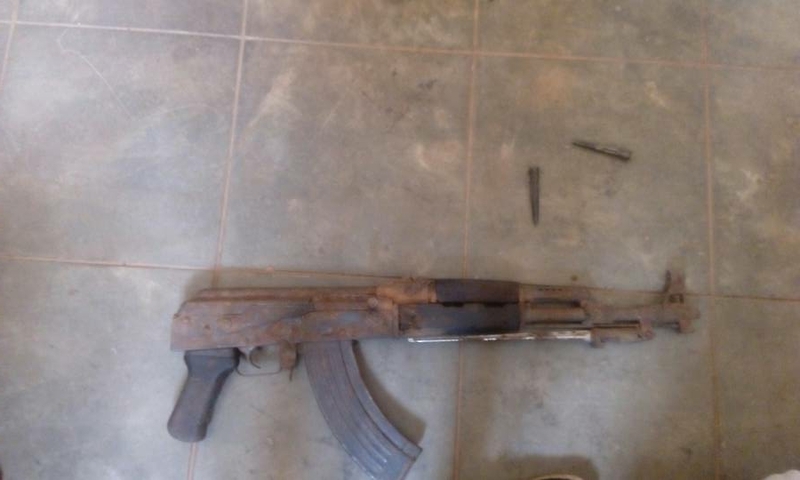 A source told this website that the operation recovered a total of 28 rifles and several rounds of live bullets. 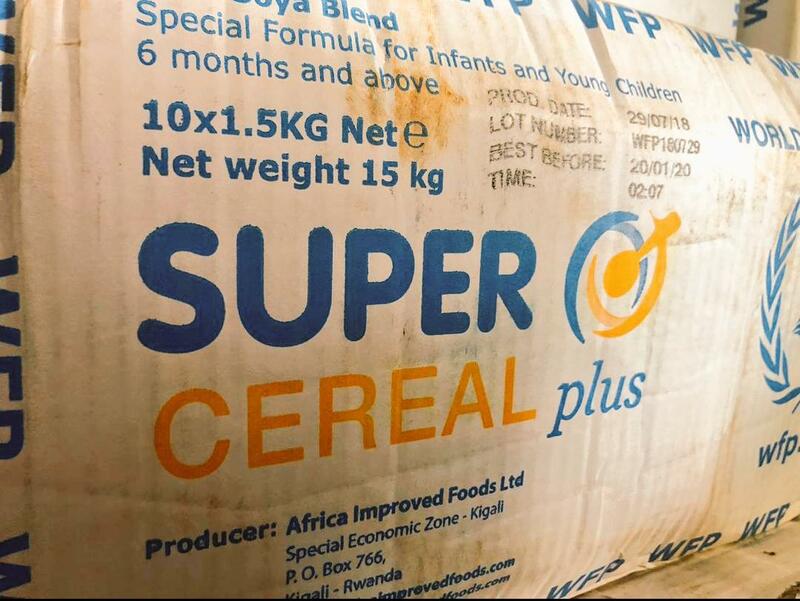 The sale of the ‘scrap’ is confirmed by a letter obtained by SoftPower News dated January 3, 2018, and written by Senior Commissioner of Police, Good Mwesigwa himself. The letter referenced DLE/20/05 is addressed to Tembo Steel Limited Lugazi and titled “Re: Disposal/sale of residue of scrap”. “This is to confirm that there is no restriction/limitation to the sale of residue or scrap after the primary use of the main parts of the classified items like bullets and gunpowder have been disabled,” Mwesigwa writes. He further adds that the company should not “hesitate to contact the undersigned should you have further clarification on the same matter”. Upon retrieval of the guns, it was expected as procedure necessitates, that the guns be taken to IGME. There, the arms would be examined but also kept as exhibits once the arrested officers were arraigned before the military court martial to face charges. 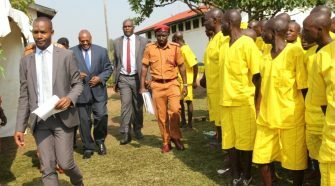 For reasons unknown however, the Inspector General of Police, Gen Kale Kayihura was opposed to this and ordered a District Police Commander in charge of Lugazi to take the guns to Jinja based Nalufenya detention facility. It took the intervention and directive of Gen Elly Tumwine who chairs a sub committee of the National Security Council to order that the guns are taken to IGME as is required. Police is yet to implement the order. Mwesigwa is still at large but some of Tembo Steel workers were arrested and detained in Nalufenya police detention facility in Jinja to aid investigations. “We have previously subjected Mwesigwa to a similar investigation but Gen Kayihura intervened only for the case to be buried,” an officer of ISO told SoftPower on condition of anonymity. While on plain view, the sale of scrap to a steel company like Tembo seems alright, the manner in which this particular transaction unfolded raises profound questions, especially at a time when the country is grappling with soaring incidents of serious crime. One of them being – could it be that the Senior officer (Mwesigwa) was overseeing a deal like any other deal to profiteer, which by nature is a violation of law in civil service? Was this ‘residue’ sold off without cognizance of the guns and live bullets or was it a calculated plot to dispose the arms off in order to cover up for something? 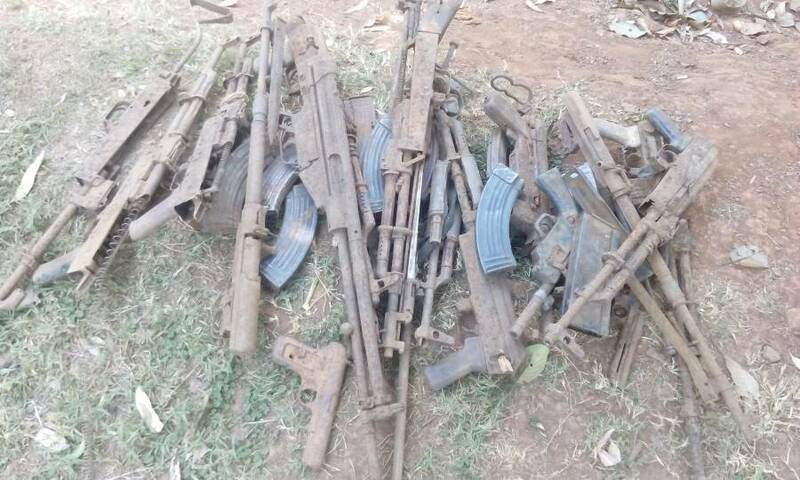 Had these guns been used to commit the numerous crimes and someone was attempting to burry the evidence? Should that be the case, how many more of such coverups have slipped through the cracks as Ugandans continue to lose lives and property to assailants? And what chances do victims of such crimes have to ever get justice? Some would say this is part of the puzzle in the mystery of unresolved murder cases and inconclusive investigations that Uganda has for long failed to demystify. 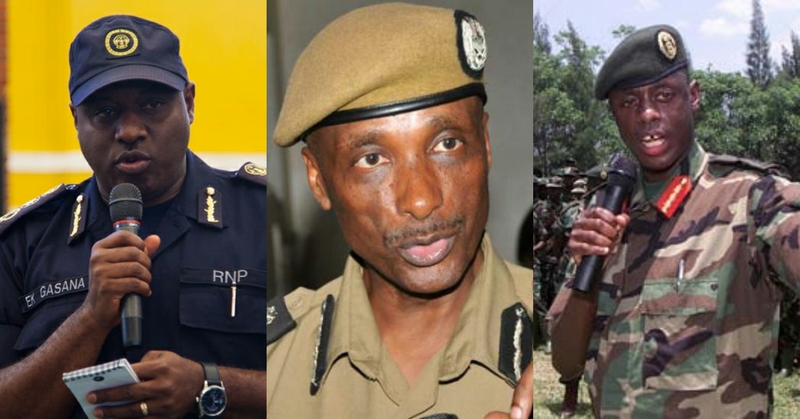 Prominent among these unfinished cases is the murder of; former Police spokesperson Andrew Felix Kaweesi in 2017, Major Mohammad Kigundu (Sheikh) in 2016, former Senior State Prosecutor, Joan Kagezi in 2015 all of whom were victims of targeted assassination by gun wielding assailants. 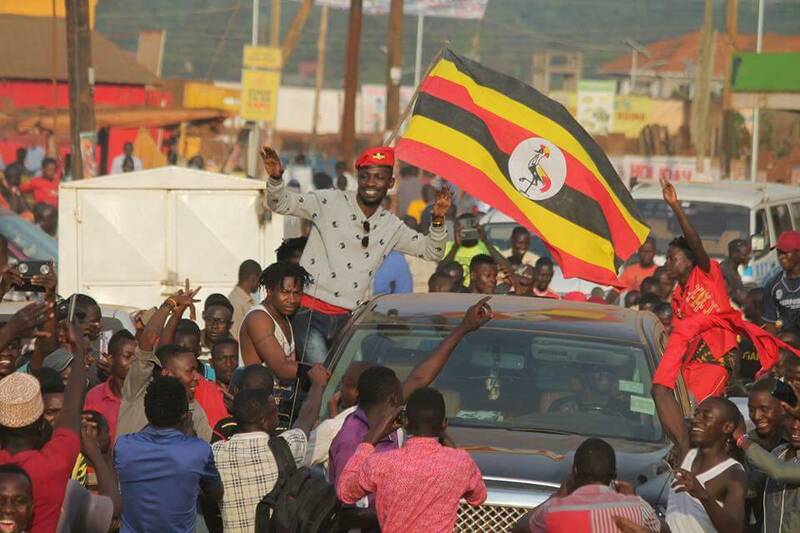 Prior to 2015, Police had been faced with spates of murders targeting Muslim clerics – Sheik Bahiga Mustafa in December 2014, former leader of the Shia Muslim Community in Uganda Sheik Abdul Qadir Muwaya in the same month and Sheikh Abdu Karim Ssentamu in 2012. All these were shot and killed. Other Sheikhs that were gunned down included Abasi Abubaker Kiweewa, Yunusu Madungu and Muhammad Maganda. Several people including police officers and civilians have been brutally killed by people armed with guns whose source remains unknown. While the country was fresh of the gruesome killing of AIGP Felix Kaweesi, President Yoweri Museveni called out the Police which he said had been infiltrated by criminals. He tasked the Police chief, Gen Kayihura to clean up the Force which according to the President had lost the trust of the public. Some victims of crime had brought it to the attention of Museveni that they were fearful of reporting sensitive crimes to Police for fear of their lives. Despite the orders of the President to clean up the Police, crime, sometimes perpetrated by police officers has persisted until recently when some Senior Officers in Police were arrested after the intervention of the military intelligence. Why would the Police chief insist that the guns recovered from a botched sale of residue are taken to Nalufenya, a detention facility which is under the same institution that is being probed? As Ugandans await answers and justice, a joint team of CMI, ISO and Police have begun to probe into this latest illegality with hope that it will bring the perpetrators to book. By the time of this publication, a joint investigation team of CMI, ISO and Police were stationed at Tembo Steel. Let what’s wrong be put wright.